Published 20 March 2011 at 312 × 422 in Lambert. 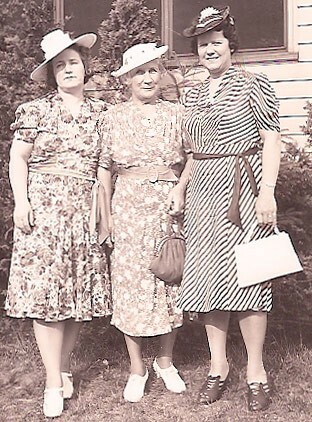 Mae Lambert Lindsay, Isabella MacEwan Lambert & Florence Lambert Schreiber. Looks like Easter to me! Who knew Nan would be considered tall in her family?!? True. I remember Mae being shorter than Nan, but their mom’s even tinier!